Traffic engineering is about to be applied during Asian Games torch relay that falls on Wednesday (8/15) until Saturday (8/18).
" 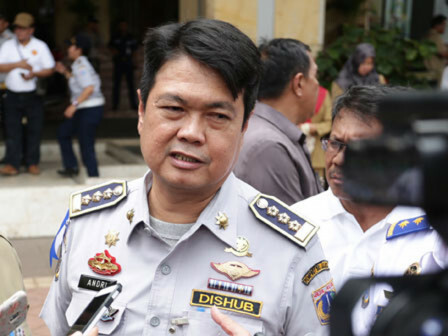 We've prepared a number of a number of engineering route alternatives"
"We've prepared a number of a number of engineering route alternatives," expressed Andri Yansyah, Head of Jakarta Transportation Dept., Tuesday (8/14). It will be held in each city of Jakarta. In details, it will be applied in East Jakarta and South Jakarta on Wednesday (8/15). While in Central Jakarta and West Jakarta, torch relay is slated on Thursday (8/16). In North Jakarta, Seribu Islands and Monas Barat Daya, it will be held on Friday (8/17). "The peak of torch relay event from Monas towards GBK will be held on Saturday (8/18)," he expressed. During the event, in East and South Jakarta, his dept. is about to close Jalan Raya Ragunan, Jalan Cilandak KKO, Jalan RM Harsono, and Jalan Ampera at 11 AM-3 PM. He urged that the flow of vehicle traffic from Jalan Pasar Minggu that is going to turn left towards Jalan Raya Ragunan is diverted straight to the north side of Jalan Pasar Minggu, Jalan Raya Pejaten. Vehicles coming from Jalan Warung Jati Barat that will turn left to Jalan Raya Ragunan will be rerouted to the south side of Jalan TB Simatupang. Vehicles coming from Jalan Warung Jati Barat that will turn right to Jalan Raya Ragunan will be rerouted to the north side of Jalan Raya Pejaten. From Jalan TB Simatupang, vehicles that will turn left to Jalan Cilandak KKO will be rerouted to the west side of Jalan Fatmawati. Then vehicles from Jalan Margasatwa that will turn left to Jalan Cilandak KKO will be directed to the west side of Jalan Kav Polri. Then the vehicles from the west side of Jalan TB Simatupang that will turn left to Jalan Ampera Raya will be rerouted to the west of Jalan Warung Jati Barat. "Lastly the vehicle from Jalan Kemang that is going straight towards Jalan Ampera Raya will be diverted turn left to Jalan West Pejaten," he stated.